Get your officially licensed NFL collar for your cat! This breakaway cat collar is made of nylon featuring a ribbon woven onto the collar with the Los Angeles Rams team graphics. Get your officially licensed NFL collar for your cat! 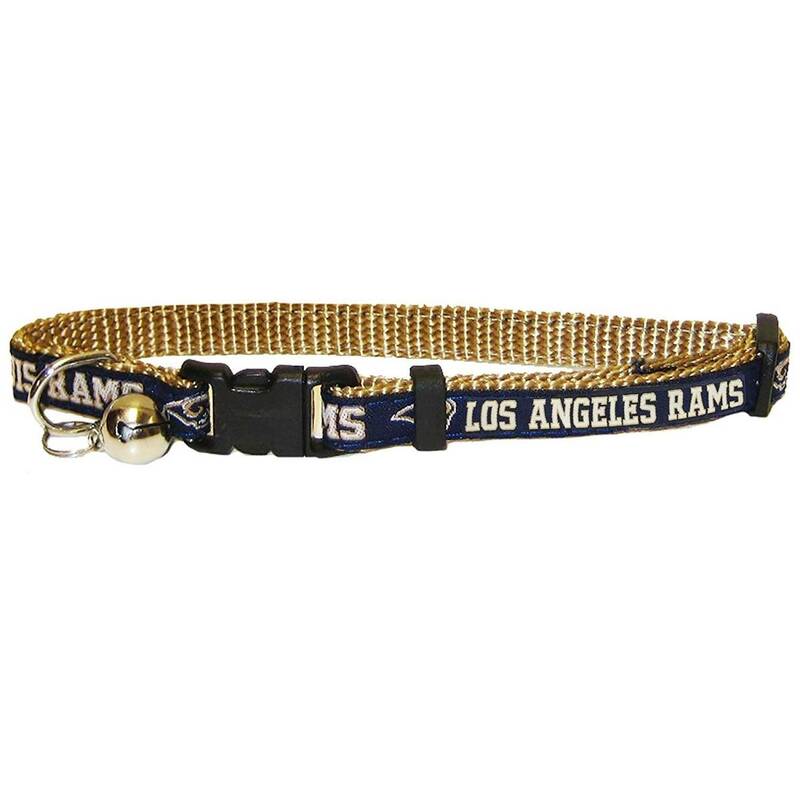 This breakaway cat collar is made of nylon featuring a ribbon woven onto the collar with the Los Angeles Rams team graphics. For your cat's protection, this collar is designed to break release should your cat get caught, allowing him to slip free, and should not be used with a leash. Collar also includes a tiny bell so you can you can hear your little sport's fan coming! Collar is adjustable and fits most cats.